When the ancients looked up into the night sky, they noticed that while some stars always appeared to be in the same location, others traveled across the sky. These travelers are the planets that continually orbit around the Earth's sun. Modern astrologers see each planet as a reflection of a basic human impulse. Although the Sun and Moon are "Luminaries" and not technically planets, they are the brightest and most important objects in the heavens. Astrologer only refers to them as planets for the sake of convenience. The Sun is the "star" of the astrological planets. It's your "will to be," your personal center, your confidence, and your vitality. The energy of your Sun sign colors every aspect of your life. The Sun rules Leo as well as the fifth astrological house (the house of pleasure and creativity). Uranus is the planet of social reform. It is associated with genius, individuality, unconventional ideas. Uranus encourages you to look at and do thing things in a unique and radical manner. Uranus shares rulership of Aquarius and, along with Saturn, governs the eleventh house. Pluto represents your power to endure crises. It's the human ability to transform and rise, like a phoenix, out of the ashes. Pluto shares Scorpio and the eight house (the house of sexuality, death, and rebirth) with Mars. 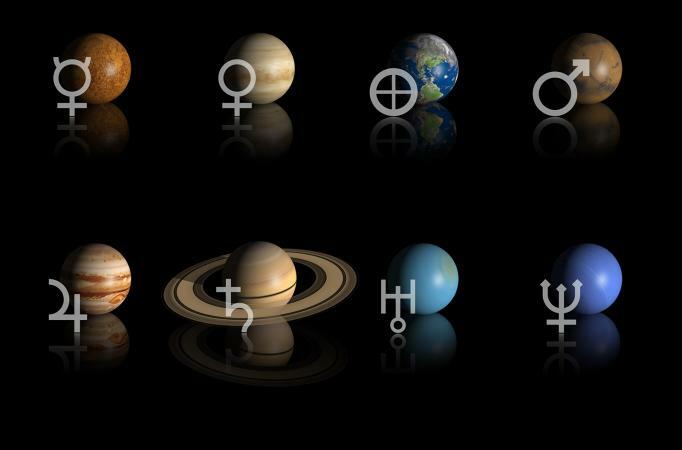 The astrological planets are a very important part of astrology. Astrology is, at its core, about observing the planets, their movements and their relationship to each other. Every planet listed above represents a different type of energy. In psychological terms, you could say they are your "needs" or "drives." Negative and Positive Libra Characteristics By Patricia Lantz C.Ht.